A lot of people refrain from having pest controlled in their houses or workplace simply because they can stand those itchy and foul smelling chemicals. Being allergic to chemicals makes it even worse for them to opt for pest controlling. Living with those creepy unwanted small creatures called pests is not even an option, but since no pest control happens without chemicals, you are not left with much choice except accepting these bugs as your roomies. With arrival of latest technologies and by God’s grace there are a couple or two pest controlling companies that provide pest control without using chemicals. These are called Bait stations. What actually Bait stations are? A team of pest controllers set up a monitoring station with termite attractants inside. Once the bait is added, the termites that have been attracted to the termite monitoring station take the poison back to their nest, and pass it on to all their fellows. One of most efficient pest control in Brisbane uses bait stations to provide their customers hassle-free pest controlling without using chemicals that cause uneasiness amongst them. 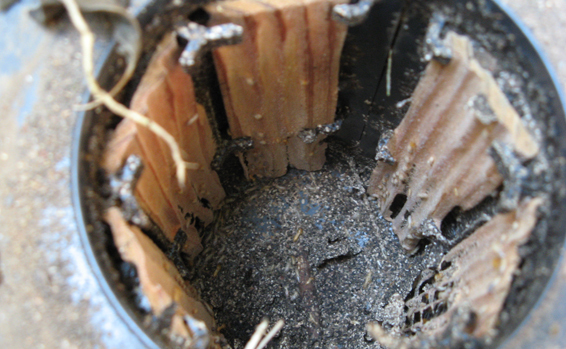 Bait stations are installed below ground out in the yard, and others are positioned within the structure in the vicinity of active termite mud tubes or feeding sites. Below ground stations normally contain untreated wood until termite activity is detected inside the stations, once it happens the wood is replaced with active ingredient treated material- the bait itself on. The Eclipse Pest Control is known to be the best in the business all because of their perfectionist demeanors and punctuality. They know their job and perform every bit of it with all their heart.